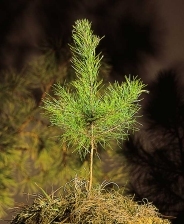 Reforestation is the foundation of a successful forest management plan. Proper establishment of new timber stands insure long-term productivity and good stewardship. MID-SOUTH FORESTRY utilizes reputable vendors to provide site preparation and tree planting services. We negotiate costs of the work and make inspections to ensure quality work. Our goal is to help landowners establish new productive forests using the most current forestry practices.